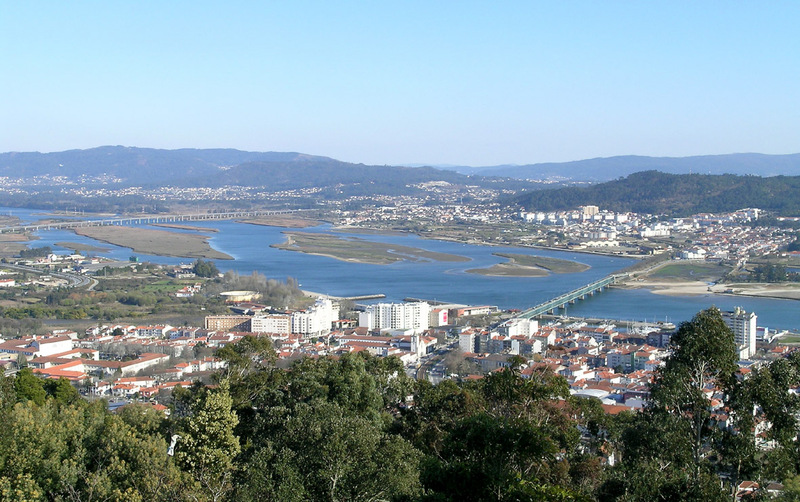 Looking down on Viana do Castelo and the Rio Lima. This route provides a reasonable option if time is short and you want to get through Portugal and into Galicia. However, most of the coast isn’t that interesting. If I had to do this part of Portugal again – and had a bit more time – I’d look for an alternative route that takes in Amarante, Guimarães, Braga and Ponte de Lima before going downriver to Viana do Castelo. I haven’t ridden through that part of Portugal. If and when I do – or another cyclist provides details of their ride – I’ll update this page. Route: The map below shows the route my wife and I took in February 2005. We skirted Porto to avoid the traffic and then stuck to the coast as much as possible as we headed north for Spain. Distance & Difficulty: Total distance of around 218km (136 miles). The climbs out of Arouca and the Douro valley are probably the hilliest sections of the entire route north of Lisbon. However, there are no really severe gradients, just some long, long climbs as the roads twist and turn around the sides of valleys. Traffic will get considerably busier as you come around Porto, towards Santo Tirso and down to the coast but none of this route is on major roads. Depending on the time of year – and day of the week – you might also hit traffic around resort areas like Povoa de Varzim and Esposende. Mid-week and out of high summer the roads will be quiet. Beyond Viana do Castelo, you’re on the main coast road but it’s not a major route for anyone other than tourists. Again, outside the summer months, you’re unlikely to encounter too many cars or other vehicles. Across the border! 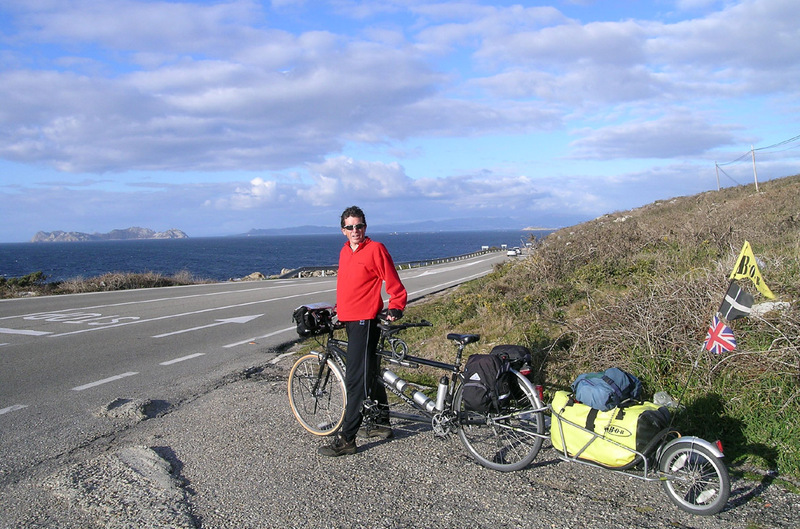 Having cycled the length of Portugal, we then took on the rias of Galicia. Stages: We did this in four days – up from Arouca to a small town called Castelo de Paiva, across the Douro and down to the coast at Vila do Conde, north to Viana do Castelo and then across the border and into Galicia. There are other resort towns along the coast offering a variety of accommodation options but none that stand out as noteworthy destinations. As mentioned above, an alternative inland route could take in Amarante, Guimarães, Braga and Ponte de Lima – all of which are worth a visit. The route above is the one I wish I’d taken. At 263km it’s a bit further – although if you go direct from Braga to Ponte da Lima that would save about 20km. The first day from Arouca to Amarante (77km) would be fairly tough but at least the last part is along the Rio Tamega and should be relatively gentle. It’s then about 35km to Guimaraes and only another 23km to Braga so if time’s an issue then you could visit both in one day – although they’re both worth more time than that. Braga is also Portugal’s third largest city so you would have to be prepared for traffic here. The other three towns are much smaller and shouldn’t present any problems for cyclists. Accommodation & Provisions: If you follow my route, you’ll find plenty of small towns and villages for provisions along the way – this is one of the more heavily populated areas of Portugal. There’s guesthouse and/or hotel accommodation at the stops we used and campsites all along the coast – most of which are open year-round.